OVER THE PAST FEW MONTHS, this column has been a great avenue to spruik the benefits of workplace health. The benefits are many and varied. From helping businesses to stand out from the crowd; to improving the bottom line - both financially and literally! And it seems the message is getting through. Right across WA, businesses are doing some great work supporting the health and wellbeing of their workers and so it is very pleasing to let you know that a new program has been established to acknowledge that effort. Developed by Healthier Workplace WA in conjunction with the WA Chamber of Commerce and Industry and Unions WA, the Recognised Healthy Workplace program recognises WA workplaces that have made a commitment to creating a healthy workplace. It’s the first web-based recognition program of its type in Australia, and workplaces can now apply online to become a gold, silver or bronze Recognised Healthy Workplace. Launched in October, the program has already had great take-up. Steel Blue Boots, Edith Cowan University (ECU), McMullen Nolan, Alcoa, ARRB Group, Konsberg Oil and Gas and WALGA are already on board. Geraldton Primary School and City of Kwinana have also been recognised and there are many more small, medium and large workplaces now working through the application process. 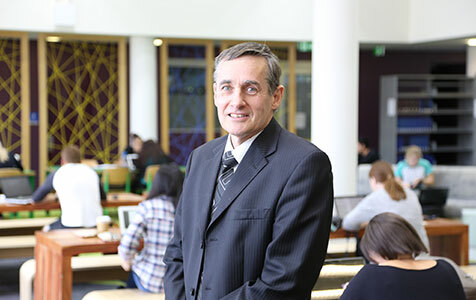 ECU Deputy Vice-Chancellor Professor Ron Oliver said that the work ECU was doing to support the health and wellbeing of its staff with its Live Life Longer initiative made it logical to apply for recognition. He said he hoped many other WA workplaces would get on board the new initiative. So, why become a Recognised Healthy Workplace? If your workplace is a Recognised Healthy Workplace you can advertise this to clients and competitors. It’s a bit like a hotel receiving a five-star rating - you want to celebrate the success. Wouldn’t it be great to know that prospective employees want to work for your business? If they know you have a good workplace culture and you care about the welfare of your current staff, people will want to work for your company. This means a healthy pool of applicants next time you advertise. When workers feel valued and are supported by a good workplace culture, they are more likely to stick around. High staff turnover can have a big impact on a business’s operating costs. It’s not just the time and expense of recruitment; it’s the time and costs associated with showing new employees the ropes. What is in it for your workplace? 1. A certificate, plus a bronze, silver or gold icon to display in your workplace, on your website or on job ads to attract new staff. 2. A profile on our website, Facebook page and the possibility of HWWA publicity. 3. Further support and advice to achieve a higher level of recognition. How can my workplace become a Recognised Healthy Workplace? Go on, get recognised now. Employee engagement isn’t an issue in hard times…or is it?